Get support for technical challenges. 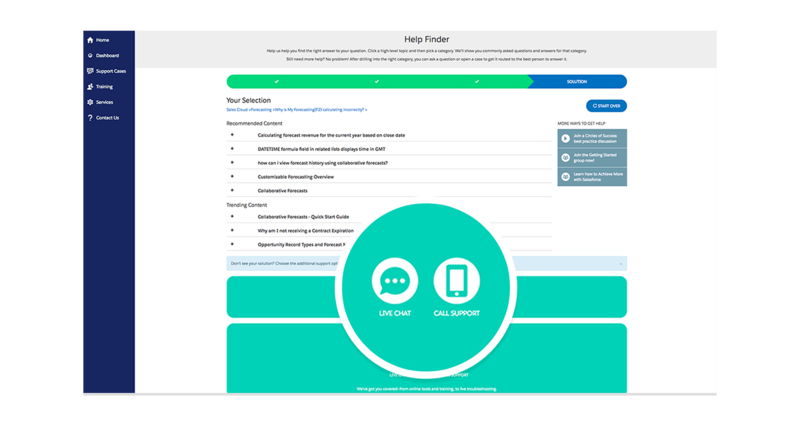 Find help and answers online. 1. Get support for technical challenges. 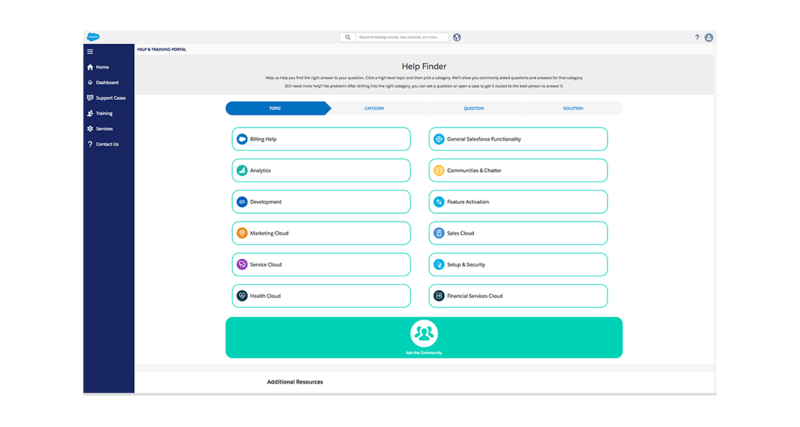 As a Salesforce customer, you can connect with our experts online if you need help with technical challenges. 2. Find help and answers online. Submit a case through Help & Training, or chat with an agent online. You also get access to knowledge articles to find answers and overcome challenges.